As a representative of Dutch dance industry, Brennan Heart is one of the leading brands in international hardstyle music. Tracks like ‘Imaginary’ and ‘Lose my Mind’ contain his remarkable signature: harmonious melodies, catchy vocal lines and an impeccable production. ‘Lose my Mind’ was an instant hit on YouTube with over 13 million views, which is an outstanding number for a hardstyle track. In 2013, Brennan Heart released a 50-minute documentary: ‘Evolution of Style – a journey with Brennan Heart’, the first longplay documentary on this epic genre. It confirmed his status as a top-50 DJ in the DJ Mag top 100, as well as his leading status in hardstyle music. 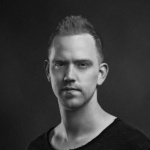 Brennan Heart (real name: Fabian Bohn) has an impressive track record as a DJ and producer with over 100 releases. He’s known for his unrestrained efforts and perseverance, constantly improving his skills and studio setup. 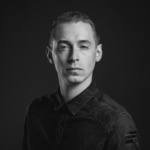 He experimented with several styles of music like techno, hardtrance and techtrance, before focussing on hardstyle and establishing his own universal sound. Hardstyle is not only about the quality of beats; the songs, melodies and vocals are also important elements of the evolution of the genre. Brennan Heart is a pioneer with this sound; with a track like ‘Just as Easy’, he started a new episode for hardstyle music and opened the door to a new audience. He’s also a pioneer for exploring new territories and cities, bringing him all over the world to serve his worldwide fanbase. In addition to his many great singles, Brennan Heart has composed several anthems (like Qlimax 2010 with a live symphonic orchestra) and played the main stages of all the top international events. His fans rewarded him with many votes for the DJ Mag Top- 100, entering the list in October 2011, rising to position 49 in 2012 and holding strong at #61 in 2013. ‘Lose my Mind’ was his eminent release in 2012 and the first offering from his own label ‘Brennan Heart Music’. This collaboration with Wildstylez shows the catch-factor of his tracks; all party-people can sing the chorus by heart. This new status also created more interest for his previous releases like ‘Wake Up’ and ‘Running Late’, as well for his epic albums ‘Musical Impressions’ (2009) and M!D!FILEZ (2010). He also co-wrote the track ‘Feel U Here’ with Dash Berlin (#7 in DJ-Mag Top-100), which shows his ability to compose in various genres. In 2013, Brennan rebranded his label to ‘WE R Music’, supporting artists like Code Black, Toneshifterz and Outbreak. ‘F.I.F.O.’ was a great release, followed by his collaboration ‘Imaginary’ with US-vocalist Jonathan Mendelsohn (Voted #1 Hardstyle track of 2013). ‘Imaginary’ is the soundtrack for his documentary, ‘Evolution of Style – a journey with Brennan Heart’, an epic document about the life and passion of this innovative DJ and producer. Brennan Heart continues to make history, selling out the legendary Heineken Music Hall in Amsterdam in January 2014 in the first event of its kind, gaining rave reviews from both fans and peers. The Evolution of this artist is certainly one to watch.